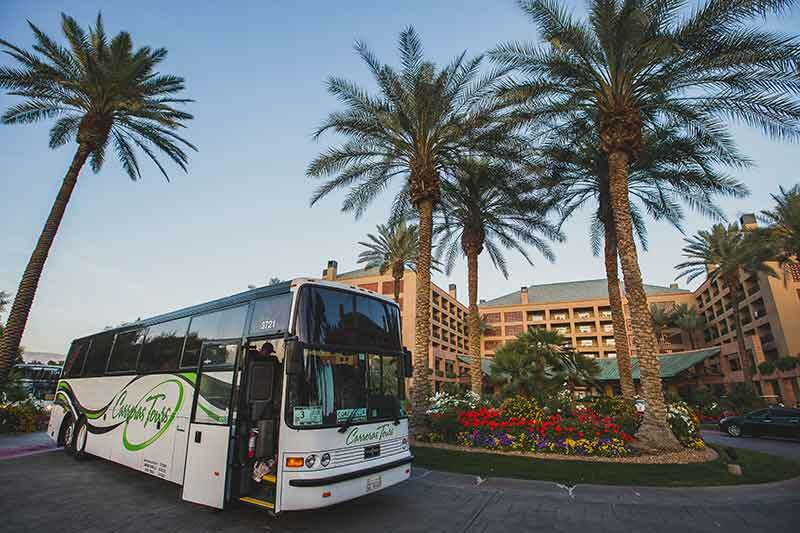 VMT is pleased to offer a safe, comfortable and environmentally-conscious alternative for show day transportation. Hop on with us at any participating stop! Save a horse, ride the shuttle! 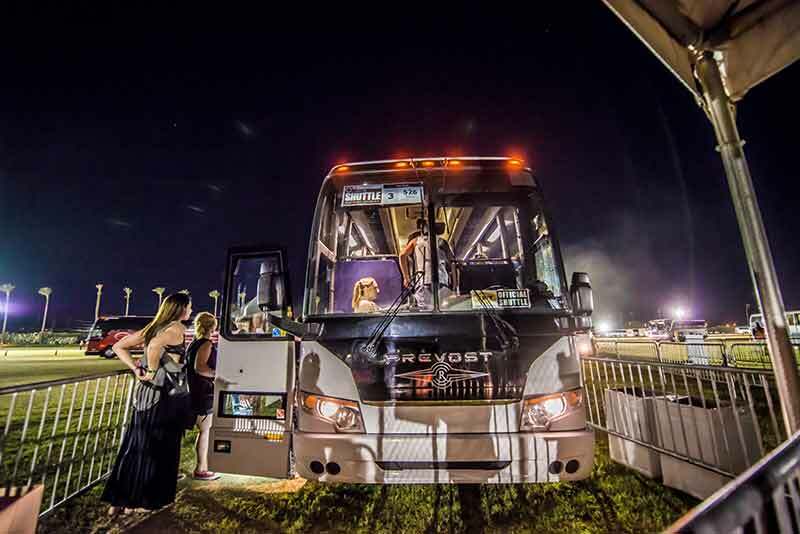 Any Line shuttle service offers a safe, comfortable and environmentally-conscious alternative for show day transportation. 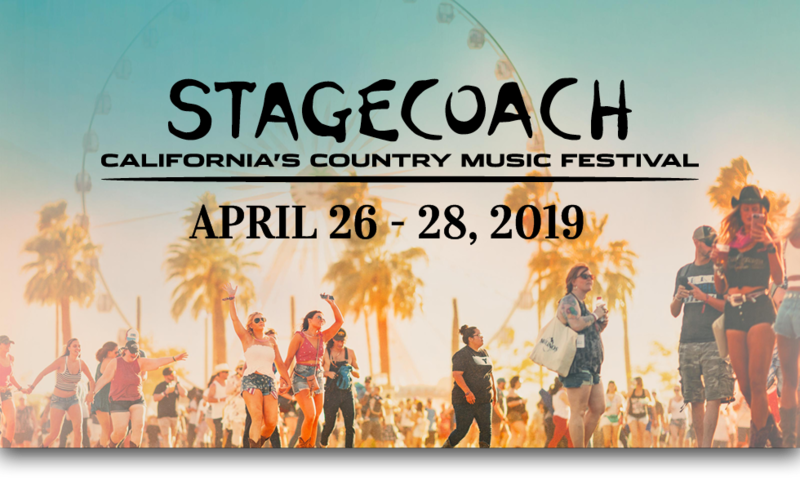 A: Shuttles to Stagecoach will run from 11am – 8pm. Return service will end 60 minutes after the music ends each night. 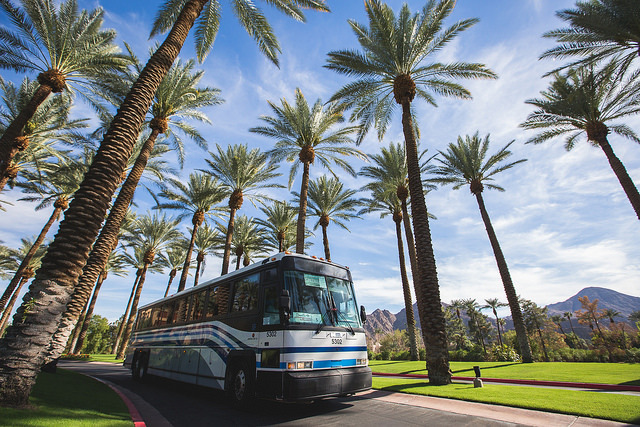 A: With the exception of the Shadow Hills RV resort – yes, you can. However, if you are not staying at the hotel you cannot drive your car to the property. Please be prepared to find alternative transportation to the shuttle stop. 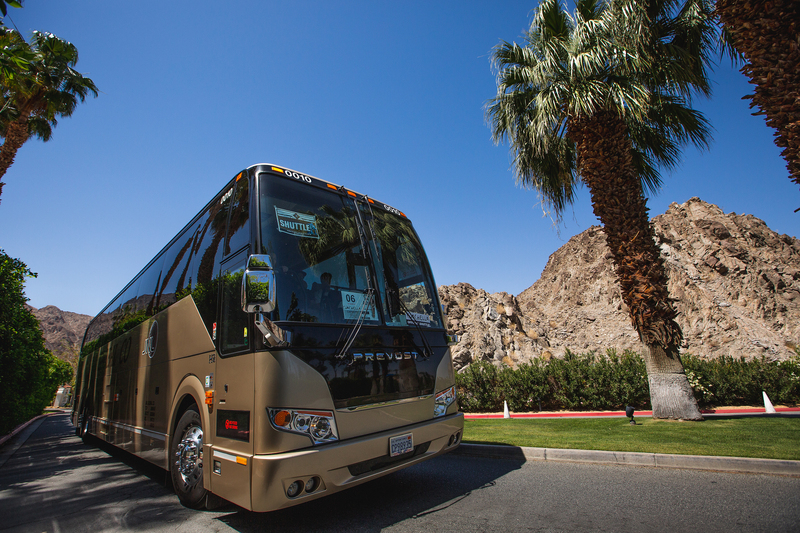 Only guests staying at the Shadow Hills RV Resort may use the shuttle stop located there. 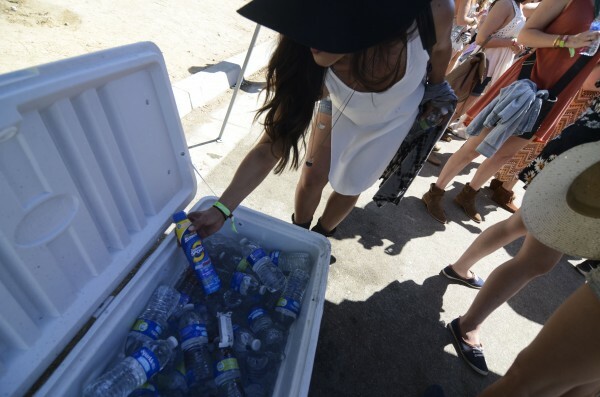 A: Stops range from about 5 to 20 miles away from the festival grounds, without traffic. While we have taken many precautions in order to circumvent festival traffic, we cannot account for area traffic or weather delays. However, we have several routes to and from the grounds that avoid most festival traffic and will get you there and back as quick as possible every time. 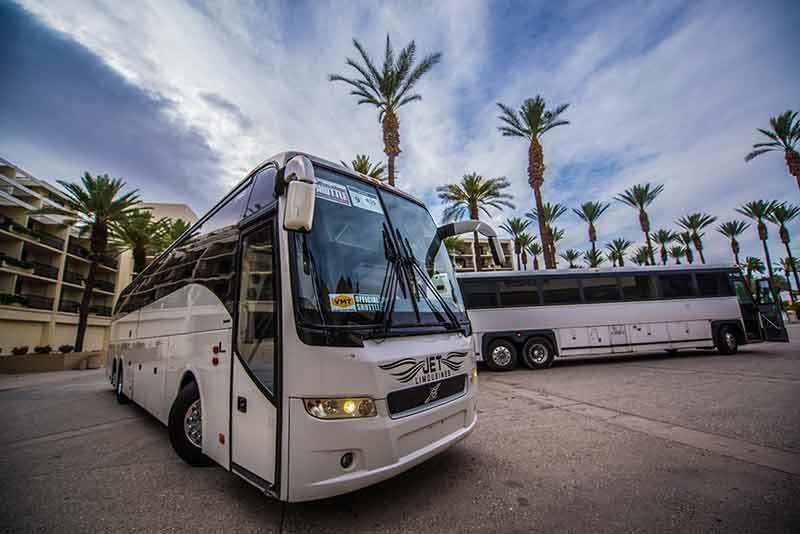 Please refer to our website for the most up to date list of shuttle stops. A: It is about a 10 minute walk, from the shuttle lot to the entrance. A: We cannot accurately predict exactly how long it will be, but please be assured that we will work very hard to get the buses out as quickly as possible. Again, it is our goal to keep you satisfied throughout the weekend. 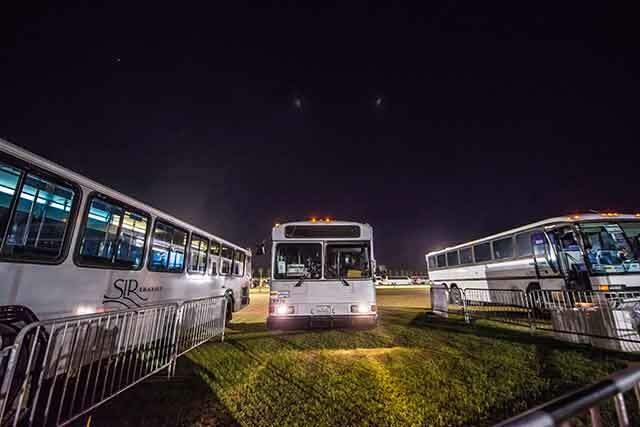 We will have our full fleet of shuttles running directly after the show to help provide little or no wait time to get you back to your hotel. A: Shuttle passes are not transferable and cannot be reissued if lost. Once you have it in hand, it should be treated as cash and you will have to pay to replace it. Q: What if I change my mind and don’t want my shuttle pass? A: All purchases are non-refundable. Please refer to the Purchase Policy for complete details.